We've been prototyping for a long time on these awesome little plastic plates but it's time for an upgrade. 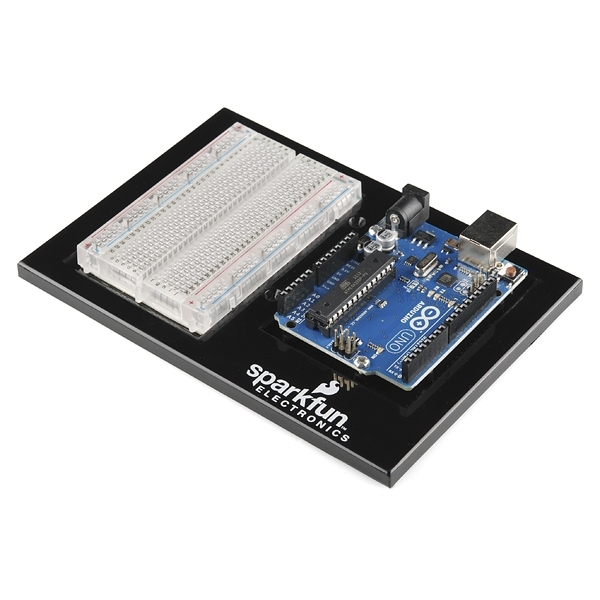 This version (DEV-11235) still holds an Arduino and a self-adhesive clear breadboard but we've done away with the plastic clips and now provide screws which give you a more solid and simple connection. 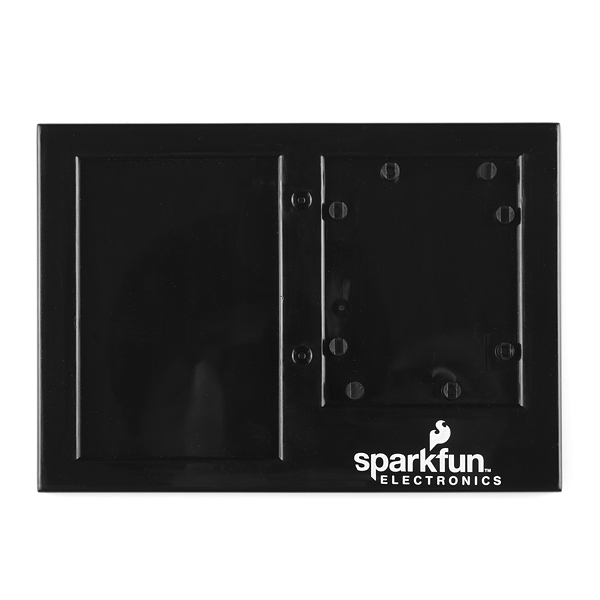 Also, because the outside dimensions of the board don't matter anymore, this plate can be used with any board that has the Arduino mounting holes. The Arduino Mega R3, The Uno, The Leonardo, FEZ Panda even the Electric Sheep can all be screwed down to the base plate for easy prototyping. 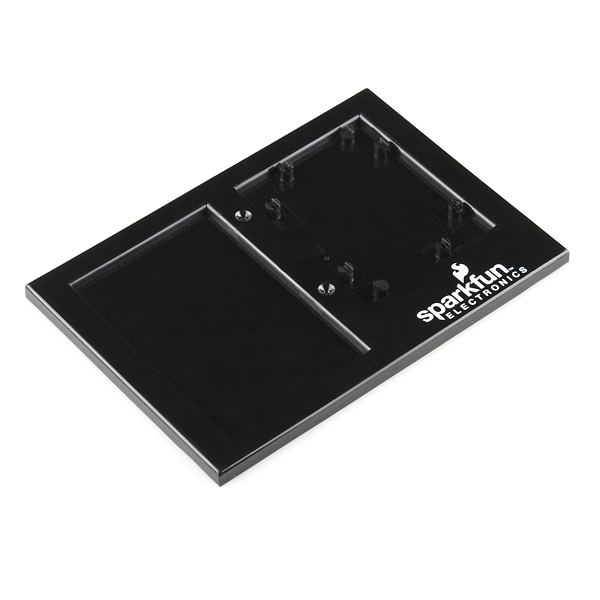 You can even mount the board facing either way you like.